About Katia Isabel Meier, M.D. Dr. Katia Meier attended Johannes Gutenberg University in Mainz, Germany where she received her M.D. in 1998. While in Germany, she obtained extensive training in both naturopathic and traditional medicine – taking advantage of the central European philosophy of holistic health and wellness. She garnered a broader understanding of alternative therapies to achieve optimal health including herbal medicine, acupuncture and craniosacral therapy. 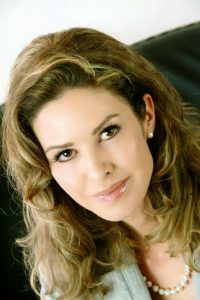 It should be noted that Dr. Meier is also one of the most experienced injectors for facial rejuvenation techniques in the region. She honed this skill by working alongside doctors in Germany and training with master practitioners in the field of medical aesthetics in Chicago, New York, Las Vegas and Orlando. Dr Meier has been trained in injectables and laser skin rejuvenation since 2005, and has been continuously advancing her aesthetic skills. 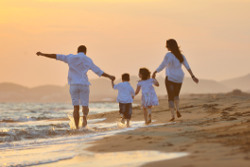 Dr. Meier frequently contributes to Natural Awakenings- educating readers on topics related to anti-aging techniques, bio-identical hormone therapy, supplements and aesthetic solutions. Read some of her articles on our blog here. 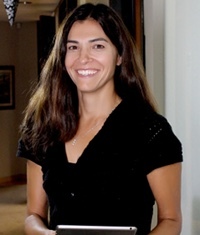 Gretchen Muehlnickel is a holistic nutrition therapist. Her academic diplomas include a master nutrition therapy degree from the Nutrition Therapy Institute, Denver, CO and a food science degree from Purdue University, West Lafayette, IN. After spending 10 years in the food industry working in research and product development, Gretchen decided to pursue a career in nutrition counseling where she found her true passion. Gretchen enjoys educating others about the value of healthy eating and helping individuals achieve their health goals. She has experience in childhood and family nutrition counseling and specializes in nutrition protocols for conditions related to women’s health, children’s health, food allergies, blood sugar imbalances, weight loss, autoimmune conditions, and digestive disorders. 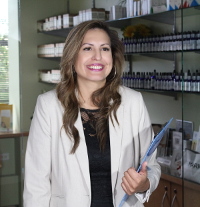 Mariela has worked in the medical field for over 15 years and has a background in holistic care and products. She is committed to providing great customer service to patients both in the office and over the phone. Marlene Valdez moved from Fresno, California, to Aurora, Colorado in pursuit of a fulfilling medical career. She studied at Anthem College and pursued her externship at Clear Sky Medical. Ms. Valdez enjoyed our clinic and instantly aligned with the team; so she made Clear Sky her professional home. Her hobbies include spending time with her kids and her fiancé. Christian is a long term Denver resident, she has been at Clear Sky Medical for over 3 years. Christian enjoys working with people on a daily basis. She enjoys spending free time with family. Ella holds a dual license in Master Medical Esthetics and Cosmetology. 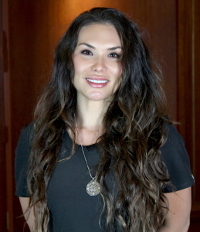 Her passion lies in providing individualized treatment plans that are best suited for each patient, and exceptional preventative and corrective treatments with focus on educating, which comes from her background as a post-graduate instructor. Ella provides various treatments starting with exquisite eye brow design and facials to more advanced treatments including dermaplaning, microdermabrasion, IPL, ultherapy, RF microneedling, laser ablation, body contouring and much more.